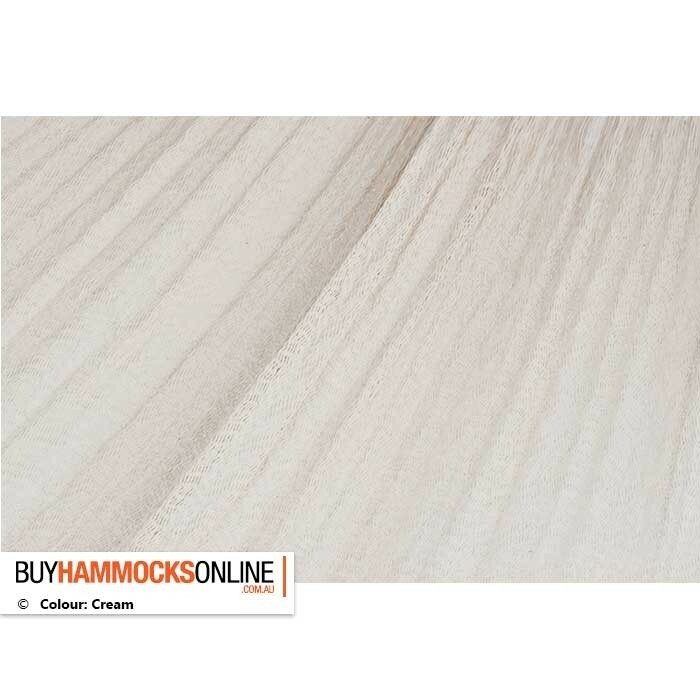 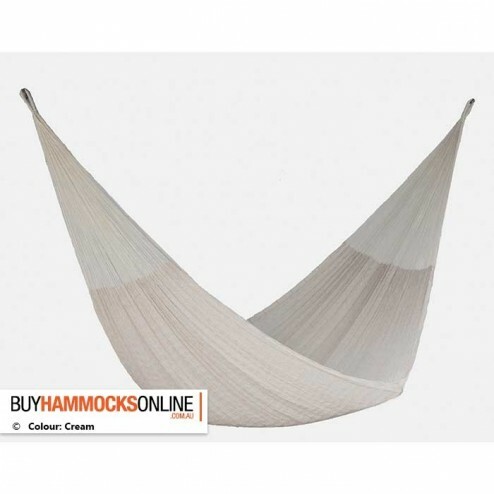 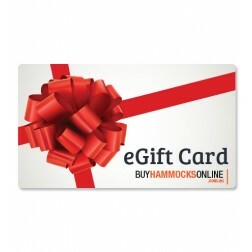 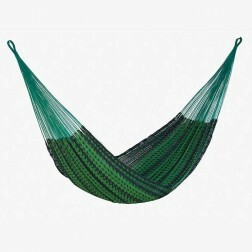 Excellent to hang outdoors, these hammocks are affordable, yet uber comfortable and stylish. 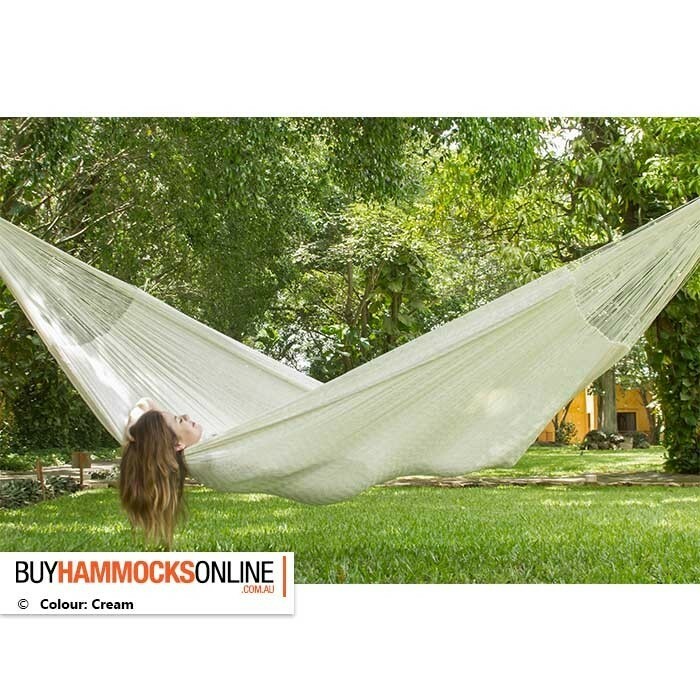 Are you after a hammock big enough for your family? 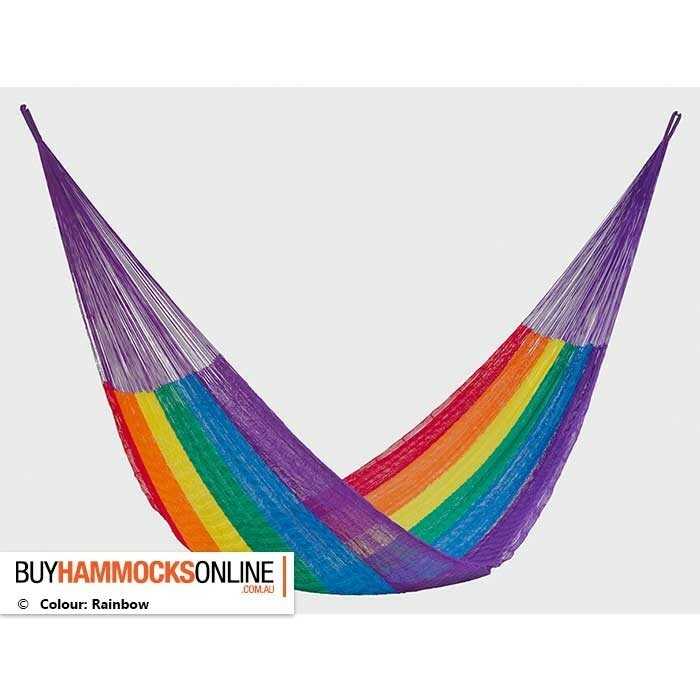 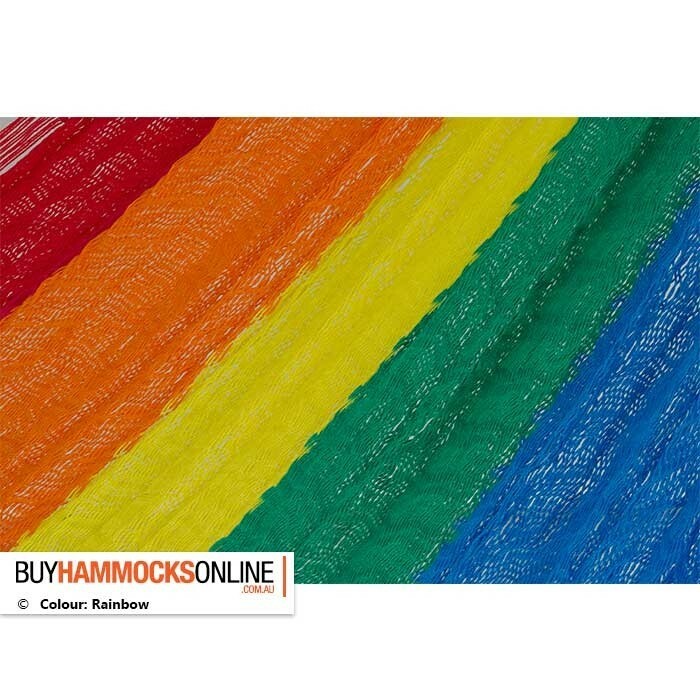 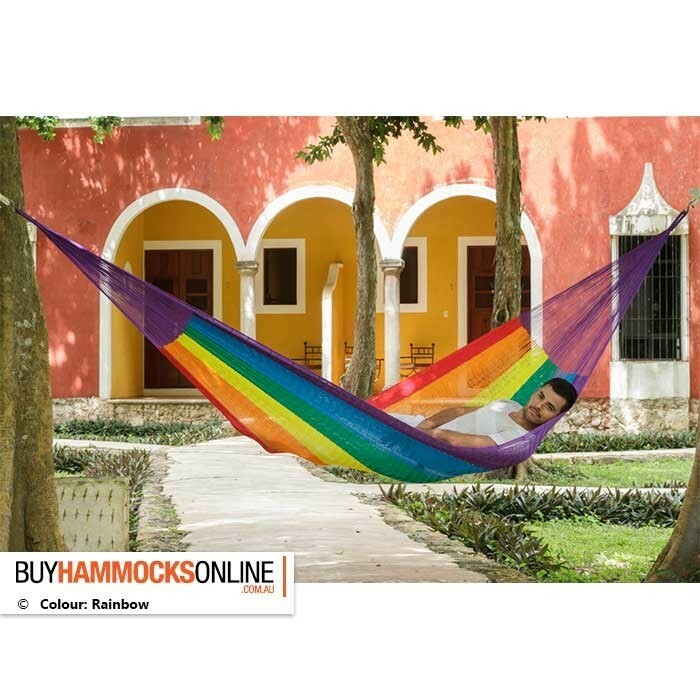 The Jumbo Plus Mexican Nylon Mexican Hammock is about as big as they come, supporting a whopping 350kg! 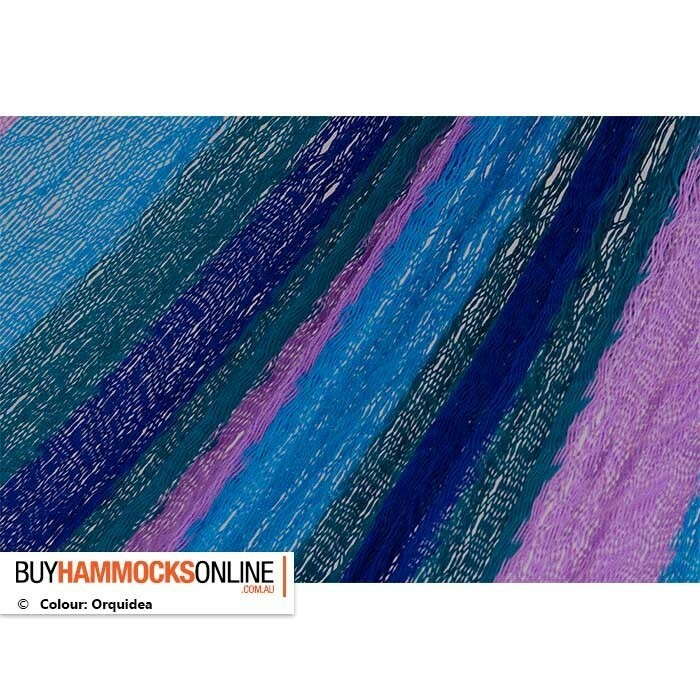 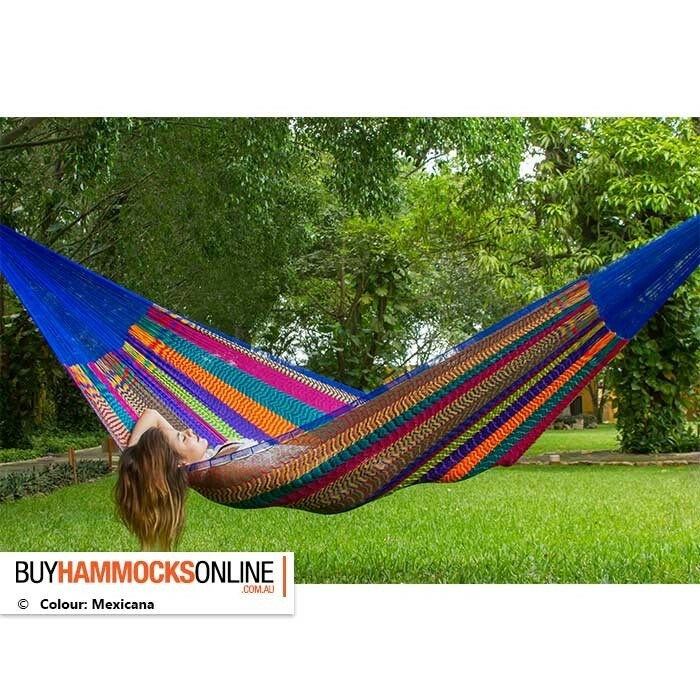 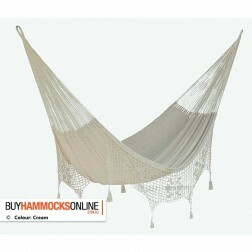 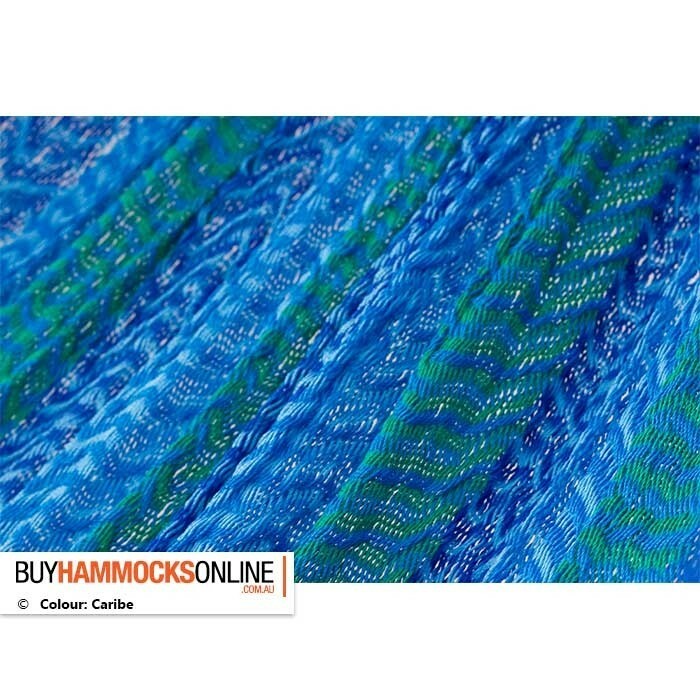 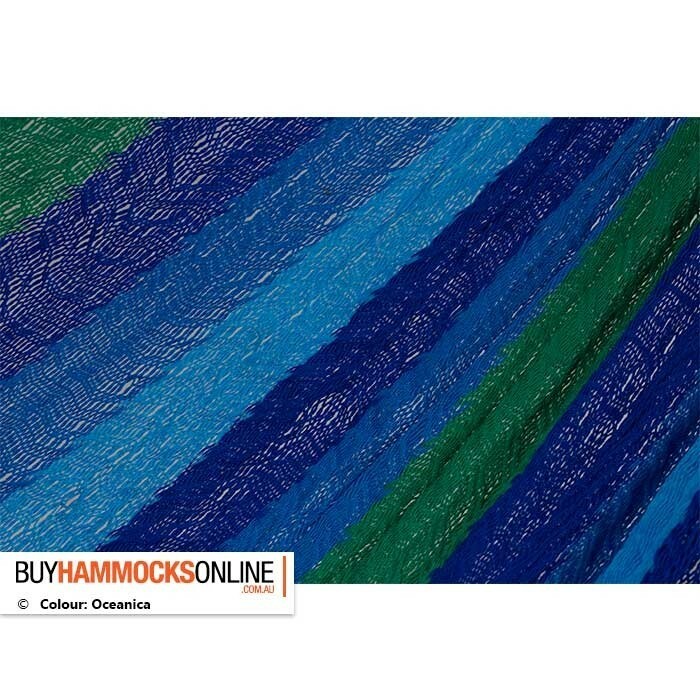 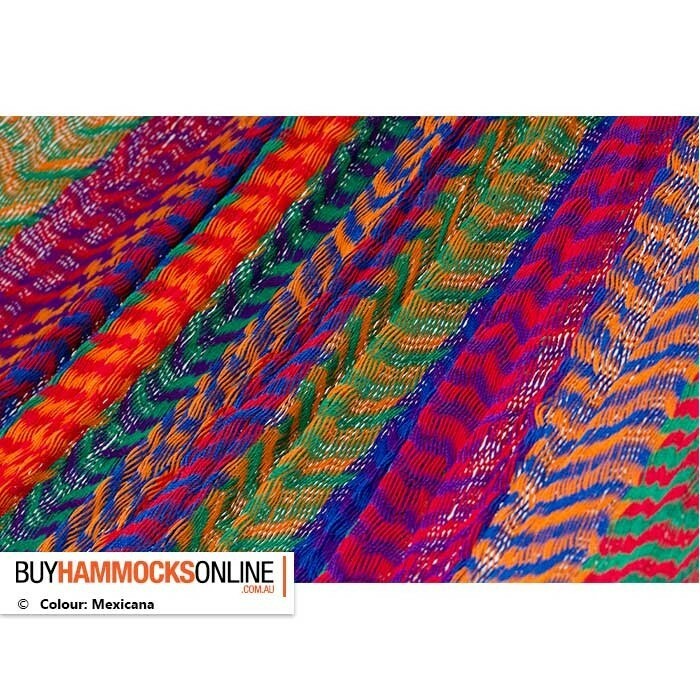 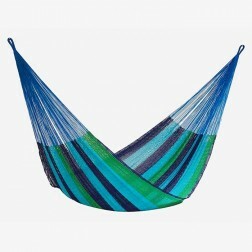 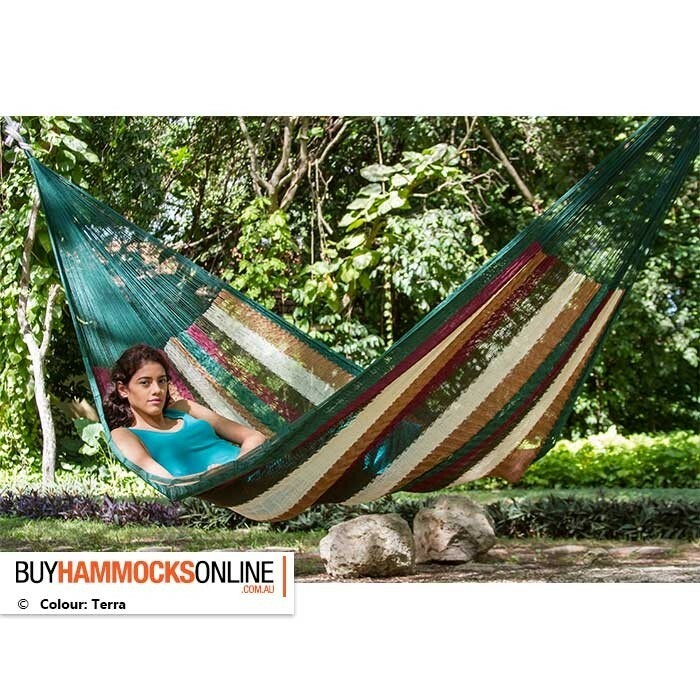 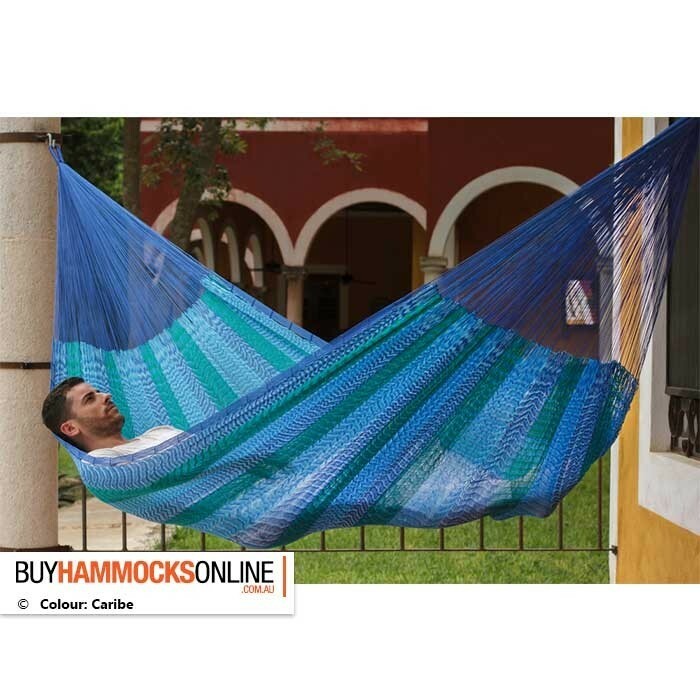 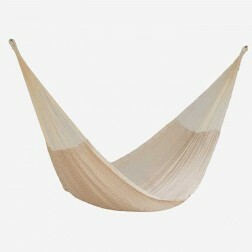 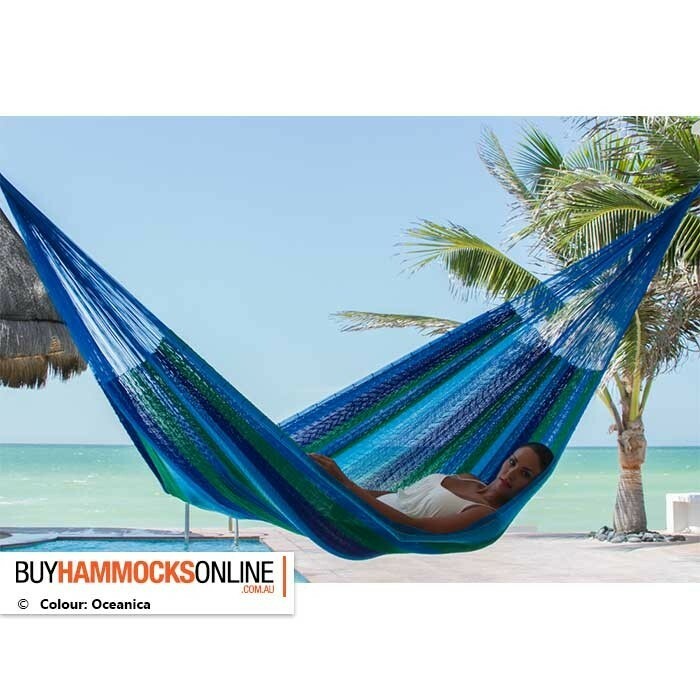 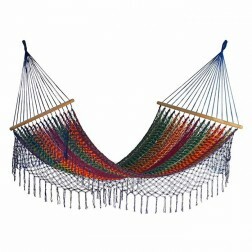 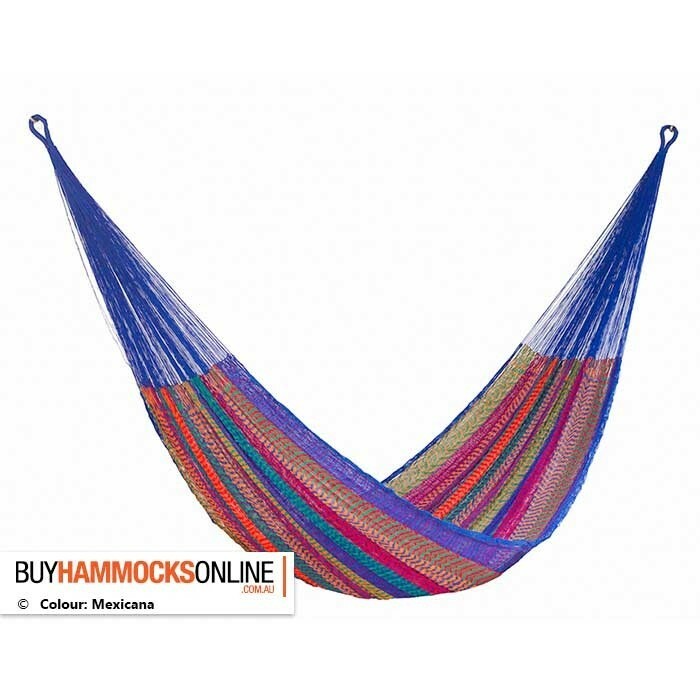 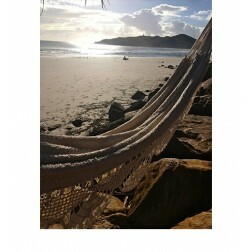 This beautifully hand woven, fair trade hammock comes in several happy Mexican style colours. 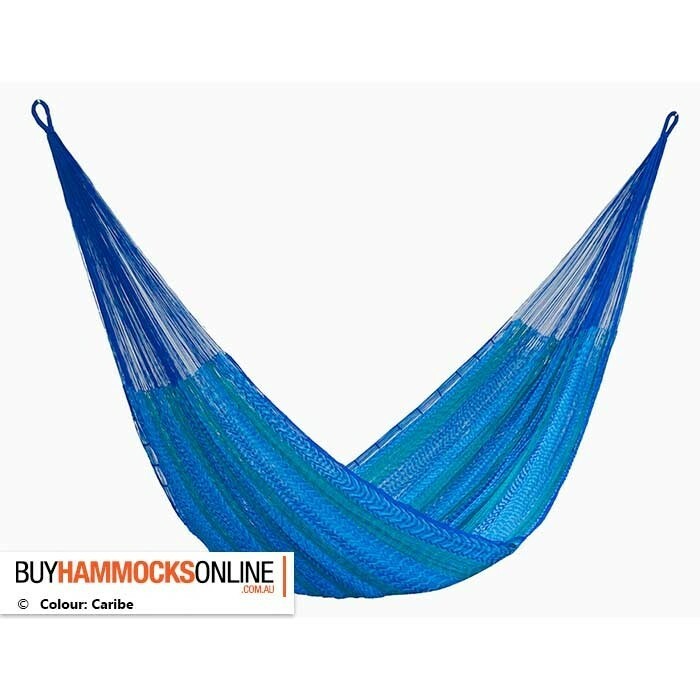 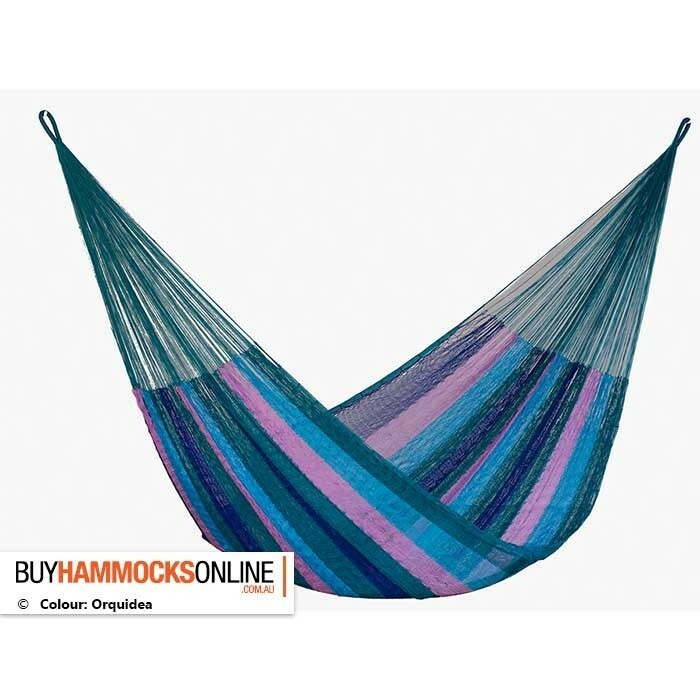 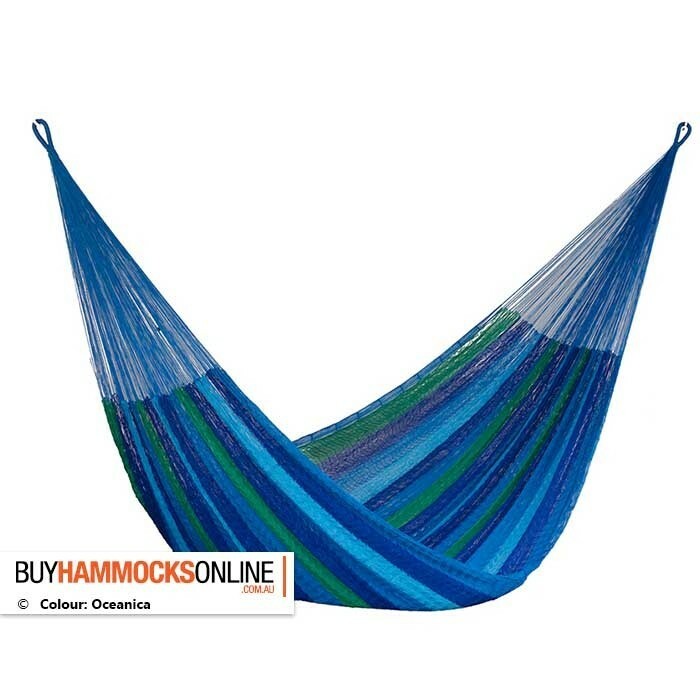 An affordable hammock that is excellent to hang both outdoors and indoors. 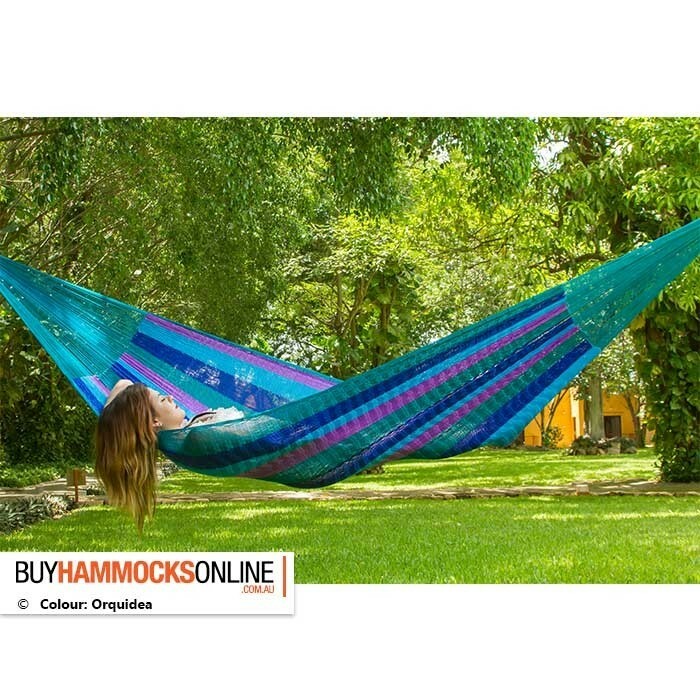 Note: The Jumbo Plus size hammocks are the same size as the standard Jumbo hammocks, however come with an even stronger net thanks to the extra material and stitching. 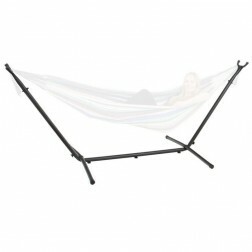 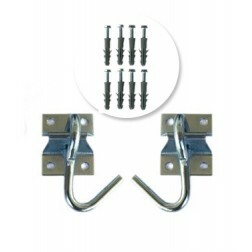 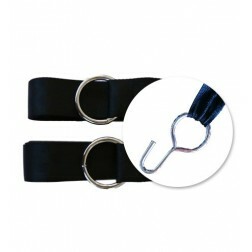 This ultimately makes them more comfortable and weather-resistant.